Ceri Shipton is a post-doctoral research fellow in the School of Social Science at the University of Queensland. His research focus is the cognition and sociality of Homo erectus and Homo heidelbergensis, with a subsidiary interest in the southern dispersal of Homo sapiens. 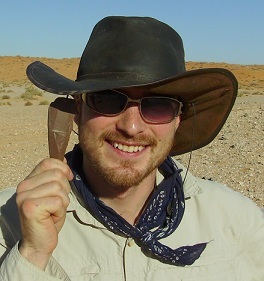 He works at several field sites around the Indian Ocean, directing excavations and surveys in East Africa, Arabia and India. He studies lithic technology, with particular emphasis on Acheulean bifaces.